The following are the 2 attributes: (1) This statement claims the statement after it is true. (2) This statement cannot be not true. This statement would achieve these 2 attributes through its wording. This statement cannot be false because if it were false; it would either generator a paradox, or break the rules of propositional logic. Yes, it will be very difficult (although I suspect the answer will be simplistic, like all answers to difficult formal language questions). But, please only post an answer if you have created a statement that acts in the way described in the title. If you don't think it can be done, then please either post a comment or don't be involved in this post at all. For those who think this is impossible, consider Liar Statements (AKA "This statement is false"). Liar Statements seemed impossible to exist, until they were discovered. Everything below is not part of the question, however it provides useful information. 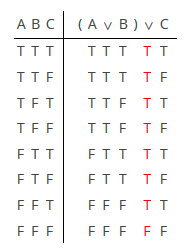 The truth table for (((The following statement is false)v(The following statement is true. 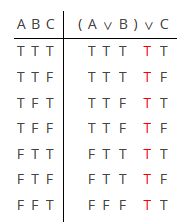 ))v(The following statement is undefined)) would obviously be the same as the truth table for ((AvB)vC). According to the axioms of propositional logic, a statement must be either true, false, or undefined. Therefore, the logic table would actually be the following. Because A, B, and C could not all be false. Keelan come up with the statement "True is true." "True is true," is a statement that has the 2nd attribute, but not the 1st attribute.